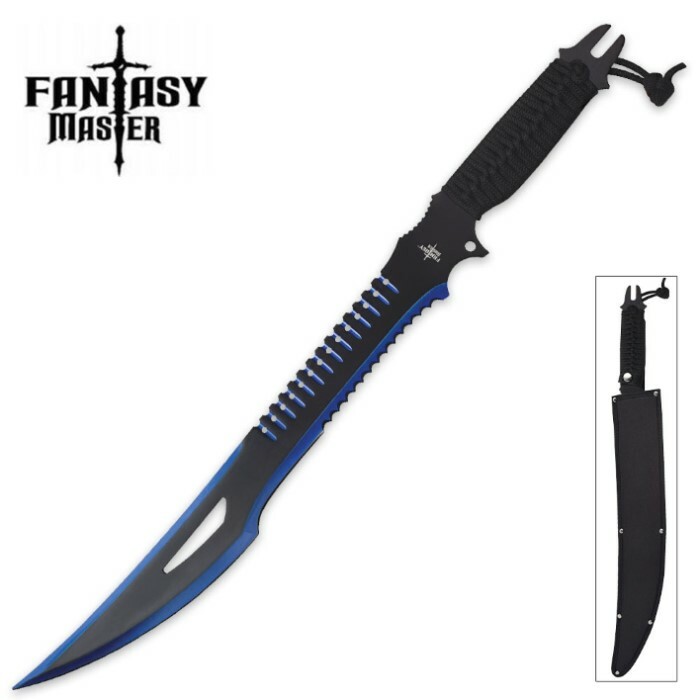 Fantasy Master Black-and-Blue Satin Fantasy Blade w/ Nylon Sheath | BUDK.com - Knives & Swords At The Lowest Prices! Slaying malevolent dragons, goblins, trolls and all manner of vile imp is a snap with the menacing Fantasy Master Black-and-Blue Satin Fantasy Blade. More than a mere fantasy knife, its tough, fiercely styled 18” stainless steel blade yields slicing and cleaving clout ample for real-world cutting jobs, as well. 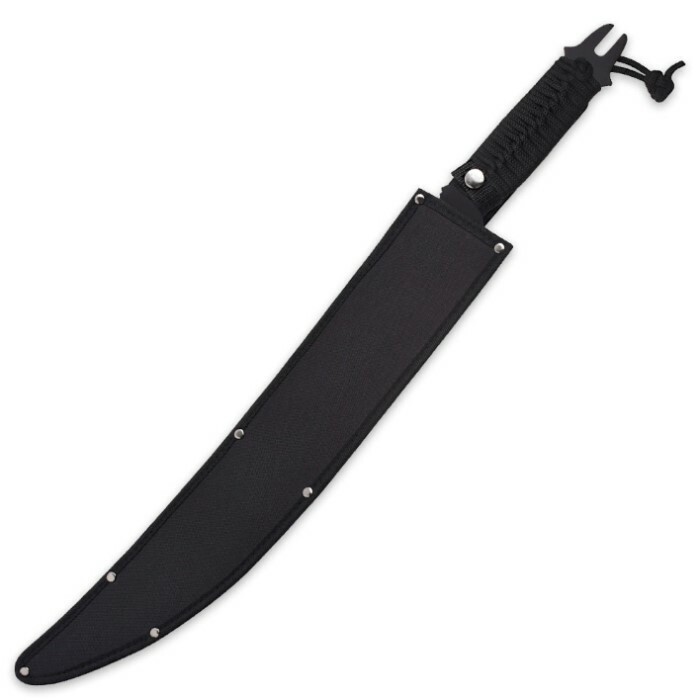 Whether you’re battling legendary creatures-most-foul or more mundane (but just as sinister) foes like thorny thickets and yard brush, wielding one of these impressive knives is a pleasure, thanks to the comfortable, slip-resistant corded handle. 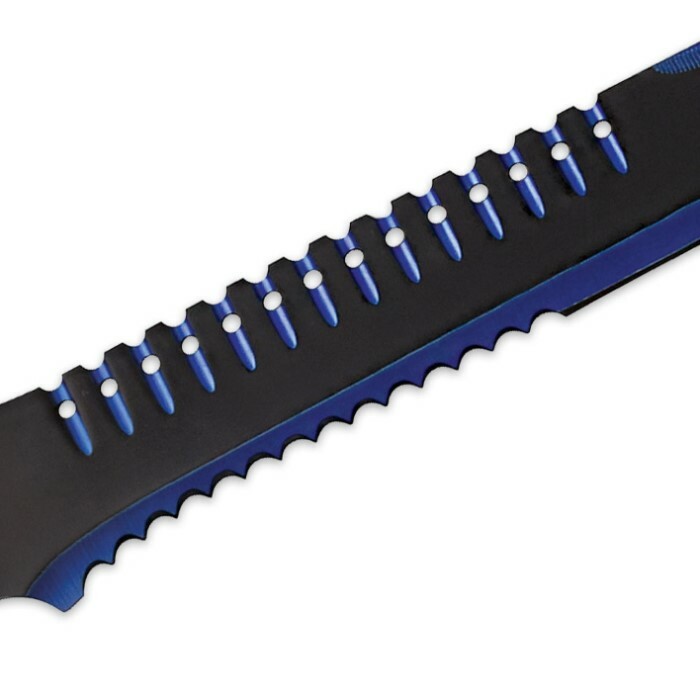 The included sturdy, moisture-resistant nylon sheath safeguards the blade’s chic two-tone satin finish, jet black offset with cobalt blue edges. Be the baddest dungeon master around and get a Fantasy Master today! 25” overall.